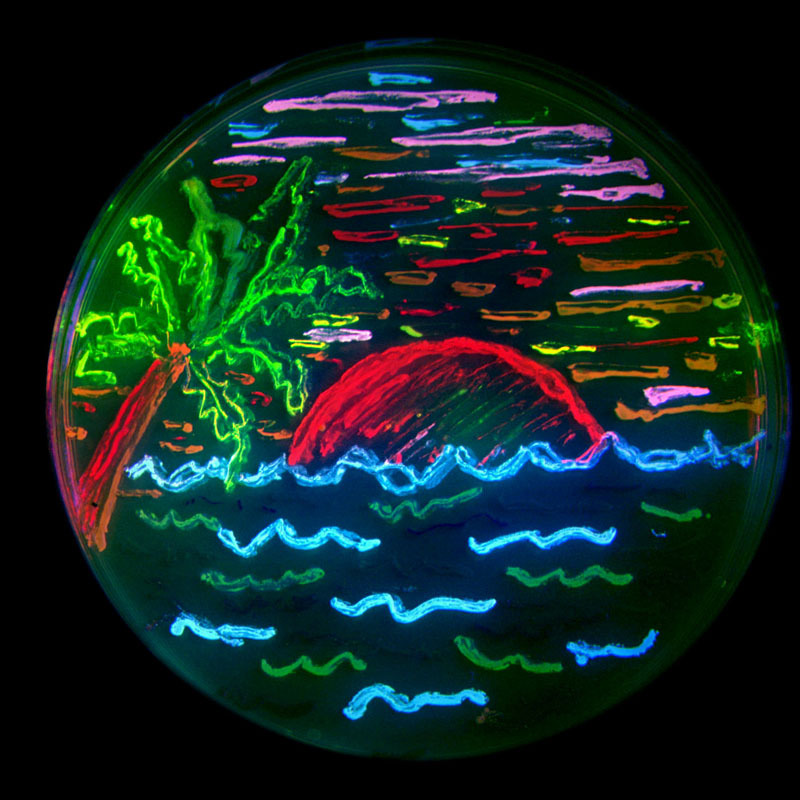 Green Fluorescent Protein Is Cool, But Is It Nobel Prize-Level Cool? This year's Nobel Prize in Chemistry goes to three scientists responsible for transforming a green-glowing jellyfish protein into a ubiquitous tool in molecular biology. Green fluorescent protein (or GFP in lab jargon) and its various colored relatives have made many previously impossible experiments cheap and easy, and you would be hard-pressed to find any molecular or cell biologists who have never used some variant of GFP. There is no denying the influence of GFP, but was its discovery Nobel-caliber? To appreciate just how useful GFP is, it's key to note that most proteins are colorless. Biologists are often interested in where a particular protein resides in a cell, and the easiest way to do this is to look into a microscope and simply see where that protein is. In order to actually see that colorless protein, scientists will use dyes or colored antibodies, but these treatments usually involve killing the cell, as well as require some effort to get the right dye or antibody for the protein you're interested in. Wouldn't it be great if you could make any protein you want light up under a microscope? And wouldn't it be better if you could do this in live cells, following your favorite protein over time as it moves about it's business? Researchers had dreamed of such a thing for years. But this isn't what Osamu Shimomura was thinking when he purified a yellowish-greenish fluorescent protein from a bioluminescent jellyfish. Dr. Osamu Shimomura was interested in a basic protein chemistry problem, trying to understand how a fluorescent protein works. At this point, before the invention of modern DNA splicing techniques, using the protein to image live cells wasn't really on the radar. At some point however, biologists gradually became aware of GFP's potential, and they started trying to get it to light up in bacteria and other live cells, but it proved to be a tough challenge. Scientists were uncertain whether GFP needed any other components (found naturally in jellyfish, but not in other animals) to become fluorescent. Martin Chalfie, a scientist at Columbia University figured out that all you needed to get GFP to glow in bacteria was the protein-coding stretch of the GFP gene - you didn't need any of the nearby regulatory DNA, and you didn't need any other unique jellyfish proteins to get GFP to work. Once he had GFP expressed in bacteria, Chalfie took the Nobel-prize winning step: he hooked the GFP gene up to regulatory DNA from worm neurons, and put the whole thing in worms. Sure enough, under the microscope GFP lit up the worm neurons. Dr. Chalfie had become the first person to tag specific cells with with a fluorescent protein. He showed that you could use that protein as a marker to pick out the cells you want out of a sample containing hundreds or thousands of cells. Using this technique, you can follow an organism as it develops - by watching for cells to light up green, you can see when worms first begin to form neurons. Scientists now use all sorts of variations on this theme. You can do what Dr. Chalfie did, and hook up the GFP gene to regulatory DNA that controls when GFP is expressed - if you hook it up to regulatory DNA for a muscle gene, GFP will be expressed in muscle, if you hook it up to regulatory DNA for a stem cell gene, GFP will light up only in stem cells. But you don't have to limit yourself to regulatory DNA - you can splice the GFP gene into any other protein-coding gene. The end result is that you get the intact protein with GFP tacked on at the end (or the beginning). This way, you can follow a real protein in a live cell as that protein moves around, perhaps shuttling in and out of the cells nucleus. A group of researchers went whole hog and popped GFP onto the end of every gene in yeast, enabling them to figure out where each yeast protein hangs out in the cell. The catch is that you can only tag one protein at a time in one cell. If you have two different kinds of protein labeled green in a single cell, you won't know which one is which, because they both will fluoresce green. But what if you could make one protein blue instead? Roger Tsien had been thinking along the same lines as Martin Chalfie, but he was interested in this Nobel-prize winning multi-color question. He tinkered around with the GFP gene, making mutations that improved the spectral properties of GFP. He made a better green GFP, then a better red one (which had previously been isolated from a coral species). We now have fluorescent proteins that are orange, yellow, purple and blue (and we have multiple variants of these colors), a kaleidoscope of options that has made possible literally thousands of new experiments, as well as the amazing bioart at the top of the post. There is no doubt that the influence on biology of a once obscure jellyfish protein has been enormous. But is this a discovery worth the Nobel Prize? Judged against previous biology prizes, it is, and the scientists involved were certainly clever and insightful. Roger Tsien in particular has continued to make breakthrough after breakthrough in fluorescent cell imaging techniques. But harnessing GFP for molecular biology experiments was a technological breakthrough, not a breakthrough in our ideas about biology. Biology, like any science, is very heavily driven by technology, and this is generally a good thing. Yet perhaps biology today is a little too technology driven, in the sense that many of today's leading researchers are frequently more noted for their technological achievements than for their new ideas about biology. These technological advances make possible new experiments, so we do learn something new. That new knowledge however, usually falls comfortably within existing ideas about biology, which means that breakthroughs in technology simply help us do more conventional science faster. There are so many obvious research questions that can be solved by technological cleverness, that it becomes hard to stop and think about the non-obvious questions. Nature has a list of classic GFP papers worth checking out. Larry Moran at Sandwalk also has some thoughts on this Nobel Prize.